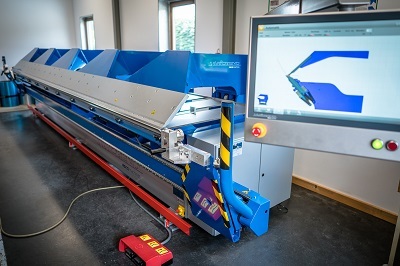 Since September 2017, the long-length bending machine has been used primarily to profile depositor channels, facade elements and covering profiles. 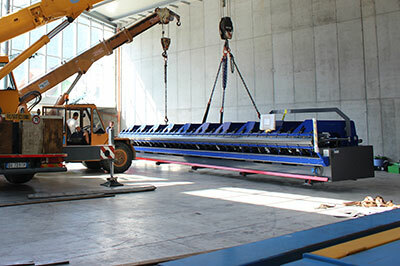 As our company produces prefabricated elements of 10 m in length, the purchase of this machine was necessary. Elements, we had to carry out in many laborious work steps in the past, can be done very easily with the new double bending machine. Spinning the components during profile production is a thing of the past, for example. In addition, the double bending machine has been fitted with a turning device, which permits cuts of up to 70 cm in width to be bent automatically. Today, the machine operators only have to deal with pushing in the sheets that have to be bent. On account of the Variobend knowhow, no other manual help is required any more until the profile is finished. The building length of the machine offers an additional advantage: Several identical parts can be processed in one working process. 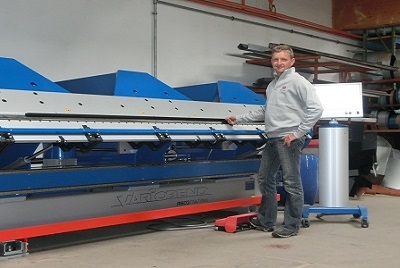 We hoped to be faster and more precise when producing edge profiles by using Variobend. We definitely could achieve this by using VARIOBEND twin bending machine. Another decisive advantage is the “double-bending function”. Thus, most of our products must no longer be turned or rotated manually. As far as possible the bending process is automated. Moreover, the machine convinces by an innovative and easy-to-handle software. Our staff needs much shorter familiarisation phases. 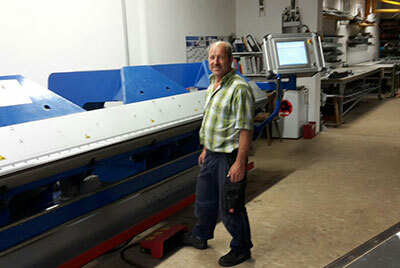 In sum, the purchase of the VARIOBEND was an important and correct step for HE Profilcenter GmbH. Faster, more precise, more diverse. VARIOBEND – this is what our latest family member is called. This is one of the most modern bending machines, which is available on the market at present. But, what can this six-metre-long unit do what its predecessor could not do? It operates up to three times faster. “This was the most important purchasing argument”, says manager Lars Ingvarsson. “In addition, we can expand our product range. But, this was not all yet. The magic word is “automatic crowning”. The expert explains: “No precisely bent profile can be produced on a dead straight machine. Our machine can bend, so to speak, in order to achieve a perfect result.” In addition, the so-called bending beams are inclined. At Nordbleche this provides more possibilities in the area of processing. “Stagnation is regression” – for this reason VARIOBEND made is way to our company. 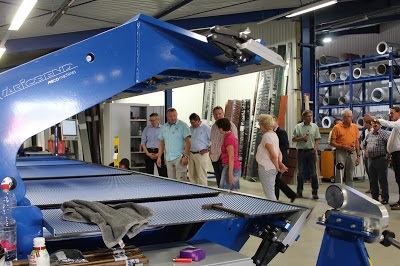 The following factors were decisive for the purchase: Very high precision and operating speed, large diversity of profiles due to the inclined bending beams, closure of the water seam possible without inlay sheet; intuitive and very well realised touch screen operation; programming the profile in the office, pass on directly to the machine; perfect and uncomplicated realisation of our special request, the professional and friendly team of ASCO company. “Stagnation is regression” – for this reason VARIOBEND made is way to our company. Our joint innovation spirit is the foundation stone for our many years of co-operation! 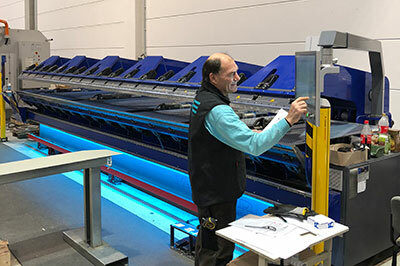 The inclined bending beam was decisive for the purchase of VARIOBEND, which offers a big advantage when bending sheet metal because no bending beam is in the way. Other reasons were the control shaft used to control the closure of the water seams, the conical bending, the robust substructure of the machine, no stationary noise as well as the simple and quick operation of the control. The price-performance ratio is spot on here. I am very satisfied with my new VARIOBEND. The precise stop is fascinating, and the thus resulting outcome as well as the simple operation of the touch screen.